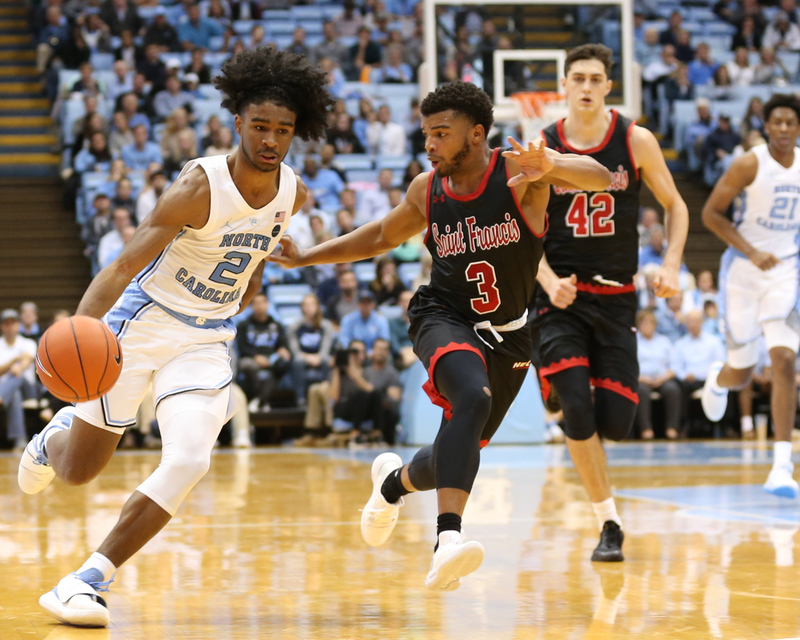 UNC freshman point guard Coby White will miss the Tar Heels’ game against UNCW at the Smith Center on Wednesday night due to an ankle injury, head coach Roy Williams announced Monday during his weekly radio show. Williams said it was more of a precautionary move than anything serious. So far this season, White has started all eight of UNC’s games and leads the team with 15.3 points per outing. Junior Seventh Woods is expected to start in White’s place on Wednesday.